I enjoy writing a weekly blog, well as this is the 746th consecutive Saturday I’ve published one, that goes without saying really. I’ve always enjoyed writing, so on that front it’s never been a burden but always a pleasure. A labour of love is how I often describe it. I also like inspiring people and that’s one of the main motivations. 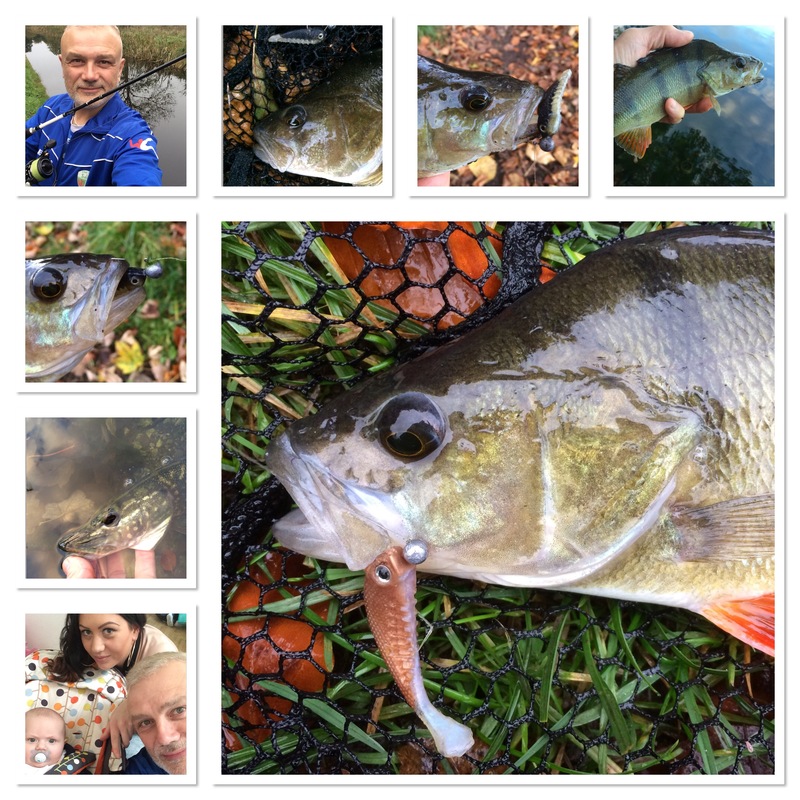 I get feedback on a daily basis and whether it’s the excited youngster who has just caught his first perch after watching a video or the adult who has been hospitalised and wants me to know the weekly angling blogs have helped to keep him going (I have had quite a few of those) it’s always a real pleasure and honour to know the effect that a few words – whether written or spoken – can have on people. Then there’s the statistics. With thousands of views every month, my website is well clicked. That’s always a source of encouragement, and while I do spend time on it each week, it’s always good to know that at least it’s being read by quite a few people. So, on that front, if you’re a regular visitor – thank you. Following on from the comments above about being an inspiration, I’ve got a list of other angler’s blogs HERE. If you have any that you would like me to add then let me know. It’s all about encouraging each other. And on that, here’s this week’s Blog of the Week. It’s called stevetheangler and you can access it by CLICKING HERE. Written by Steve Ridd, it’s regular, which is an important box to tick if you want to have a well-read blog. In addition, he tells it as it is for him. Blanks and struggling days, they’re all in there as well as fish-filled sessions. Now for some angling of my own. 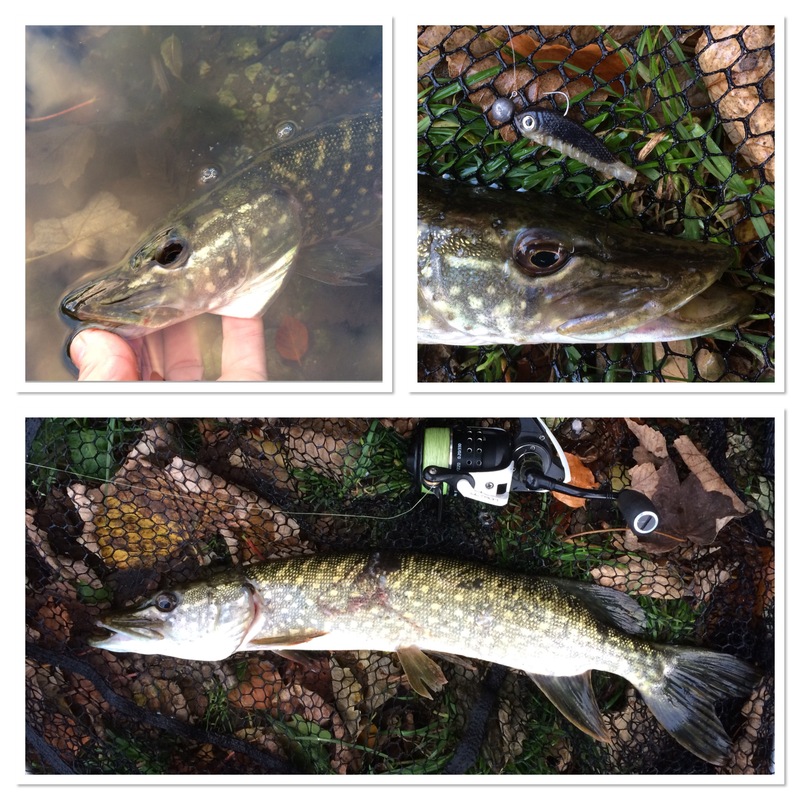 Although my blog has evolved to cover more than piscatorial pursuits, it’s still very much fishing-based. The one sit-down session I had this week (I really do need to get more in) was on an overgrown canal. I caught three species of fish and you can check out the trip via the video below. As has been the case for a good number of months now, I’ve also done a number of lure fishing sessions each week, and in particular jigging. 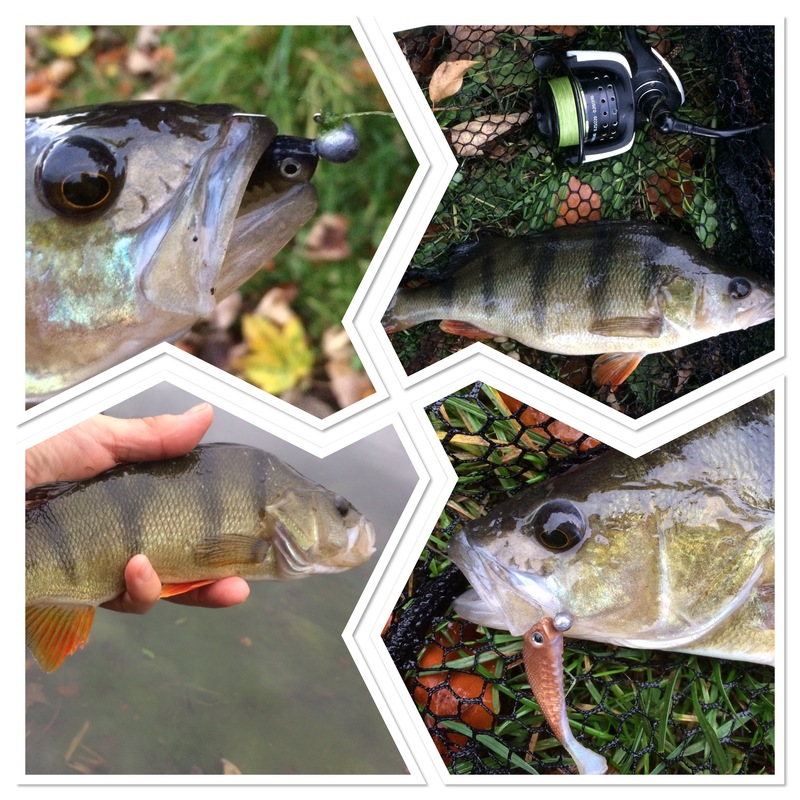 My main target has been perch and that’s been the case this week as well. As you can see from the photographs, I had a great time. One session in particular highlights the point that I regularly make about lure fishing being short and sweet. 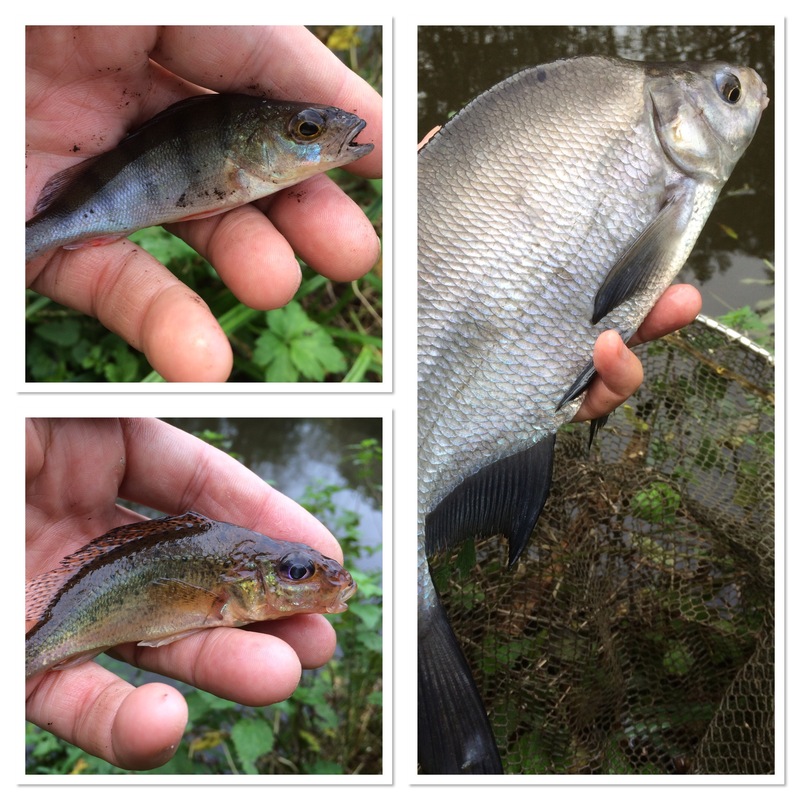 I only had 45 minutes at dusk on a stillwater yet I caught five perch, all well over 1lb. That’s why I’m always banging the drum as it’s a great way to get quality fishing in when you’re on a tight time budget. I managed 9 lure sessions this week, which takes me to 294 fishing trips for the year so far. People use their social media accounts for various purposes, in many ways mine are an extension of my blog. I’m a keen user of Facebook and Twitter and the daily posts below are from the former. Feel free to connect with me, the links are at the base of the page. Hi, Stewart! Always read your blog every week as you know and just got round to today’s issue as a bit of bed time reading. But not read it all yet as there was a surprise in there… with my own blog selected as your first ‘Blog of the week’!!! Very honoured indeed! Thanks again, Steve. Tight lines! I look forward to reading your blog every week Stewart and l particularly enjoy the videos. They have that kind of “passion for angling” style if you know what l mean, and that’s exactly what comes across! Most readable, watchable and listenable. Thanks for your kind words, Roger. Appreciated.